Hon. 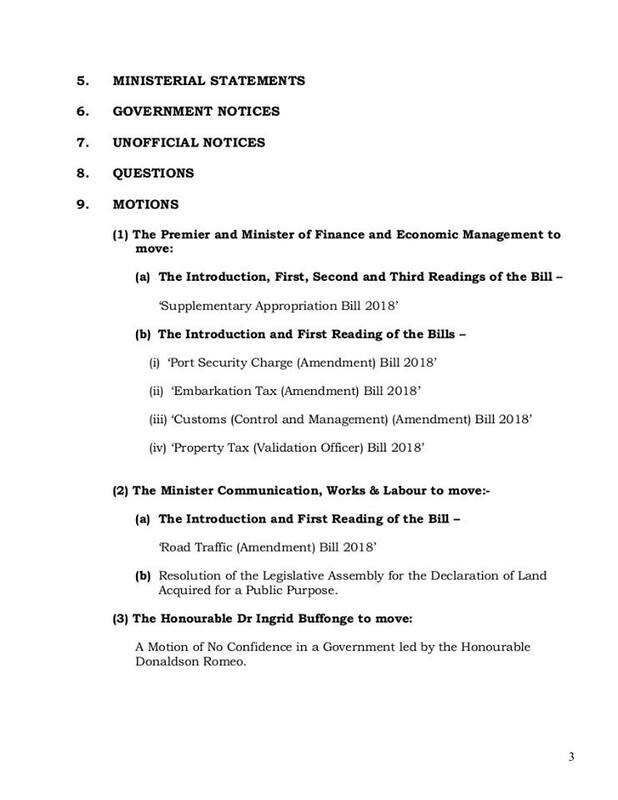 Independent Member of the Legislative Assembly Dr. Ingrid Buffonge is expected to move a motion of no confidence in the People’s Democratic Movement Government led by Hon. Premier Donaldson Romeo in the next sitting of the parliament. Buffonge received the second highest number of votes in the September 2014 elections on the PDM slate. She resigned from the party a year later and has been serving as an independent member since then. Two weeks ago, the medical physician who recently returned to island after completing a Chevening Scholars programme in the UK, called for the Hon. Minister of Health Delmaude Ryan to step down from her post. Buffonge has consistently expressed her frustration at the government’s handling of healthcare on island. Last week Hon. MLA Gregory Willock resigned from the party after his request for the premier to sack Minister Ryan was denied. Willock said he stood with Buffonge and her stance on ongoing healthcare issues. There have been increased rumblings of dissatisfaction and possible defections now that the PDM Government has entered its last year in office. Support for the motion could trigger early elections. 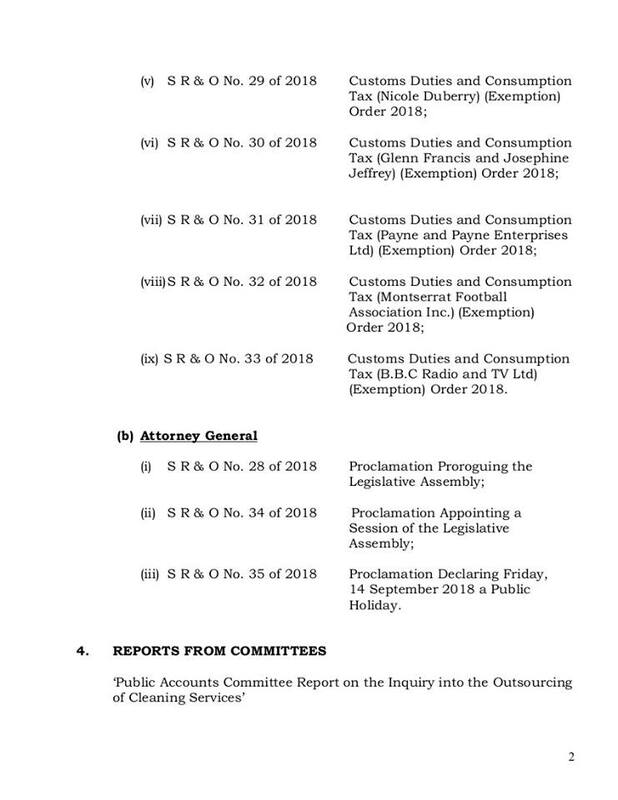 The motion is to come at the end of a full programme of the Legislative Assembly which did not have a September sitting. This will be the first since the holiday break. 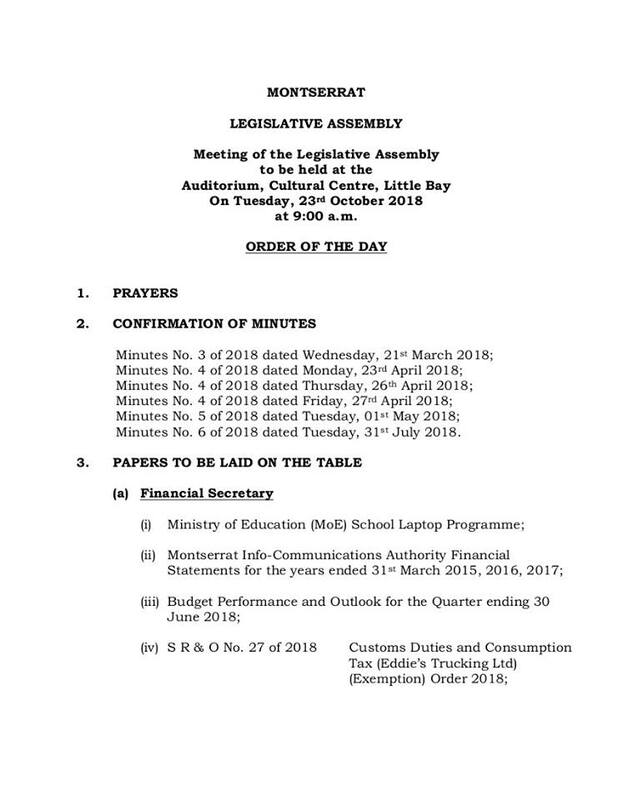 The Legislative Assembly is to formally open the year at 9AM in the main auditorium of the Montserrat Cultural Centre, Little Bay on Tuesday, October 23rd 2018. The formal meeting is to follow on Wednesday, October 24.